Military forces in a number of countries have been issued with special explosive initiating devices. These may be mechanical, chemical or electrical. They may be referred to as “switches”, “demolition firing devices” or “boobytraps”. 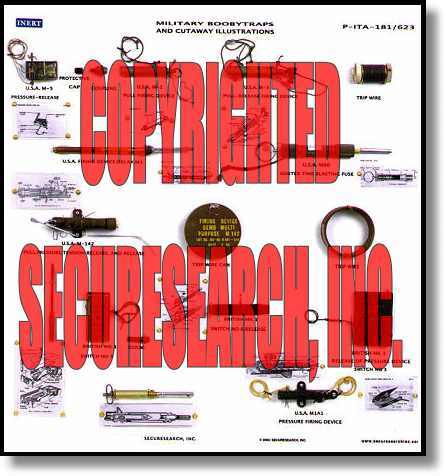 This security poster and a matching display board, illustrate some common types in use beginning during World War II.